Some sad news this month as very much loved Leos passed on . ”Buster ” from Issa and Zorro , was 8 years and described by Brendan as the best dog a man could have and a real gentleman .” Inez” from Zorro and Skye almost reached her 8th birthday and was a much loved and treasured part of the family . 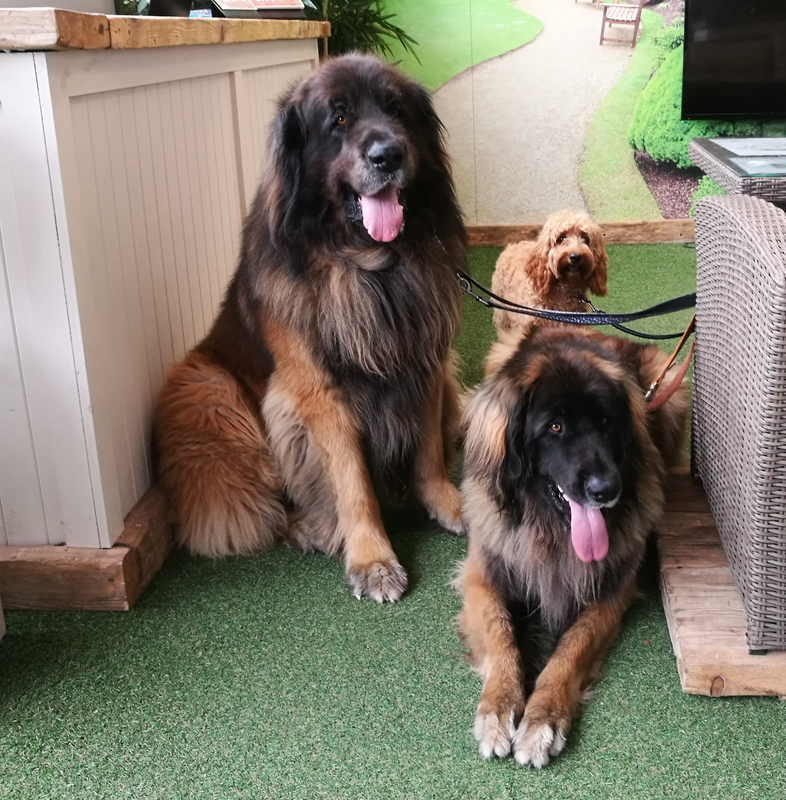 Also ” Elsa ” from Yogi and Prada , after a sudden severe illness took her far too young .We thank Brendan , Vincent and Paula and their families for their love and care for these wonderful Leonbergers and give our condolences to them for their loss. We have added their photos to our pictures page . On a happier note , Asha is now in season and will be bred with her lovely beau ”Agro ” . 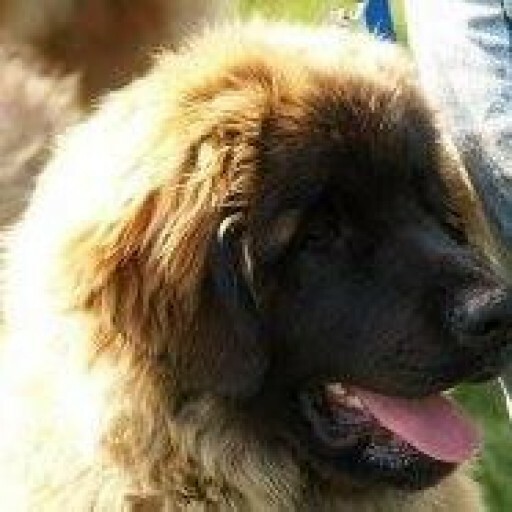 ”Agro ” took BIS at the Leonberger Club Show and also won his last green stars to become an Irish Champion . Puppies will be due Mid November . 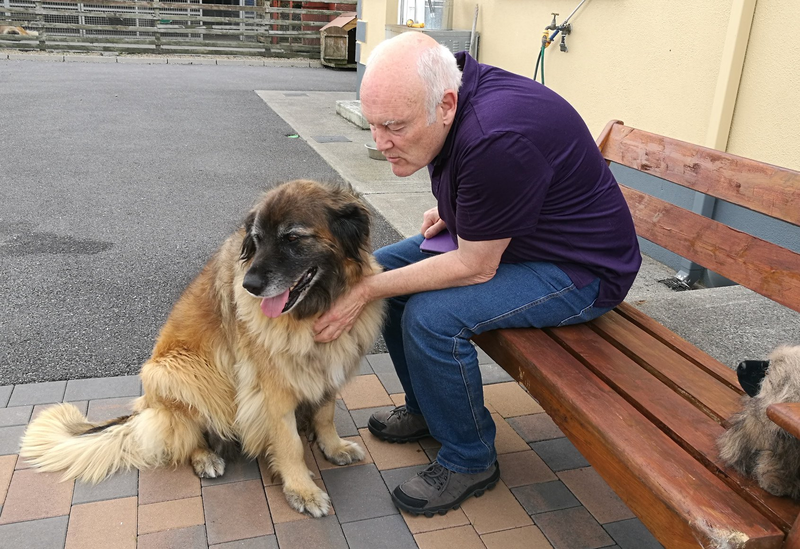 Tom was also able to attend the Irish Therapy Dogs 10 year anniversary BBQ in support of the great work that the visiting teams do . Some photos to follow . 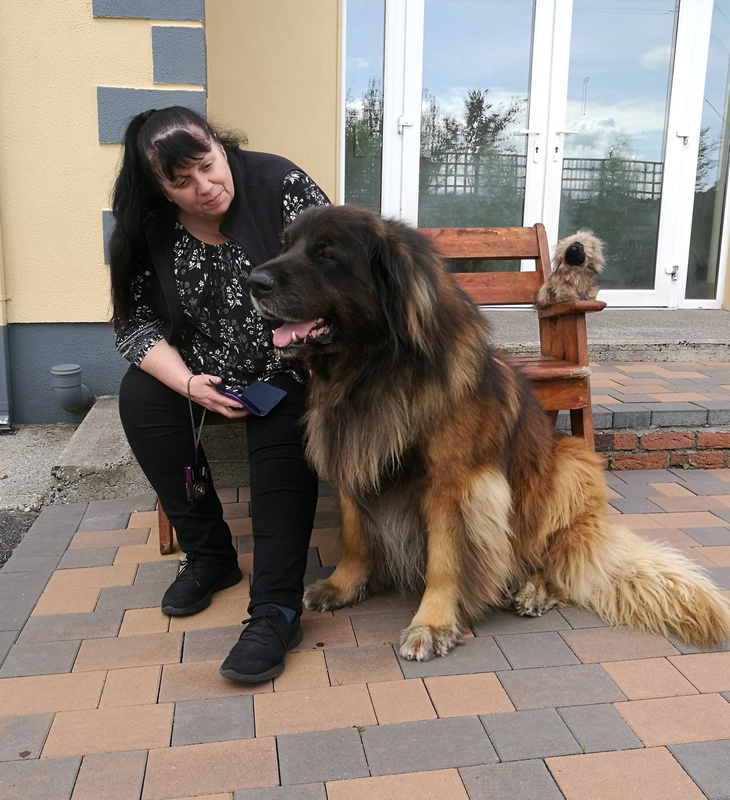 Lyndsay with Tassu , time to say a sad goodbye to him . 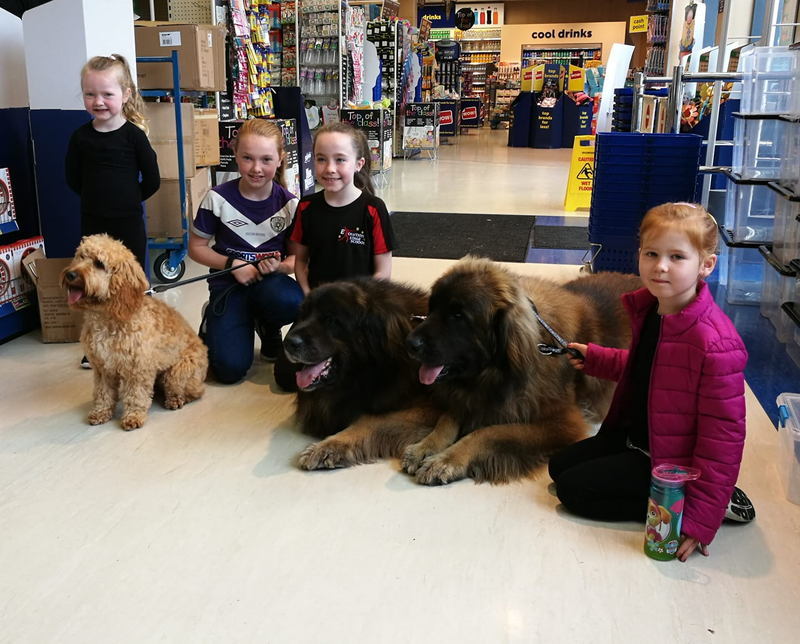 Tassu with daughter Jasmine and Cockapoo Daisy visiting with friends at Horkins . 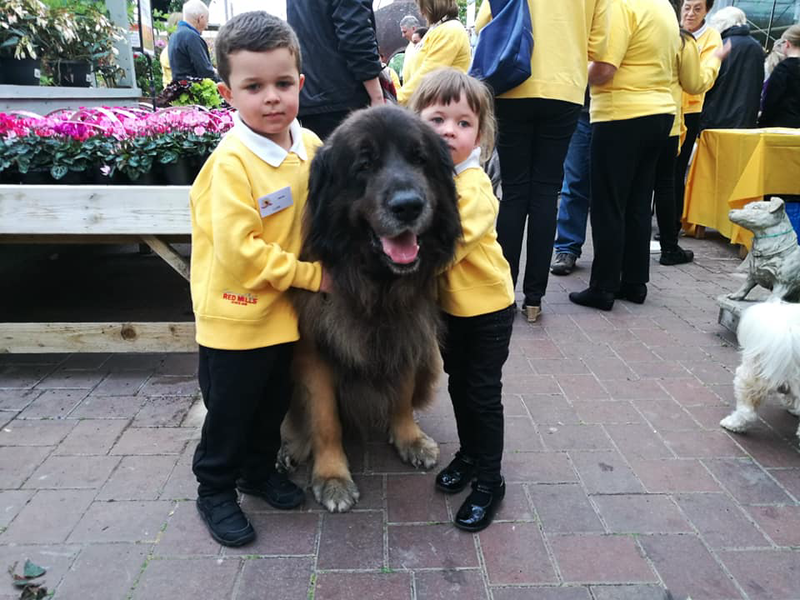 Always attracting kids , here is Tassu with son Baloo and Daisy . Prada with Graham getting a last chest rub to say Goodbye .